The York Fitness Rotating push up stands are a neat small accessory designed for people enjoying calisthenics and push up based trainings. The stands are great for protecting the knuckles, and developing proper balance as well as strengthening core muscles. Furthermore, the stands ensure increased stability and with the non-slip ergonomically design they provide consistent grip. 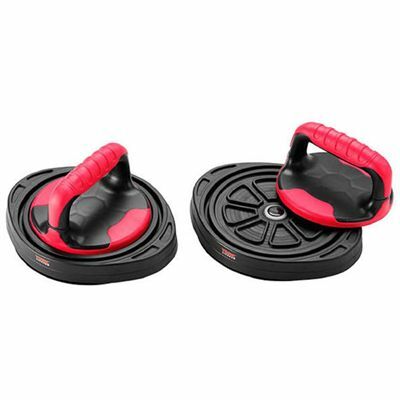 This durable fitness accessory ensures increased range of movement to hit different muscle parts, and it’s supplied as a pair. for submitting product information about York Fitness Rotating Push Up Stands We aim to answer all questions within 2-3 days. for submitting product information about York Fitness Rotating Push Up Stands. We aim to answer all questions within 2-3 days. If you provided your name and email address, we will email you as soon as the answer is published. for submitting product review about York Fitness Rotating Push Up Stands.